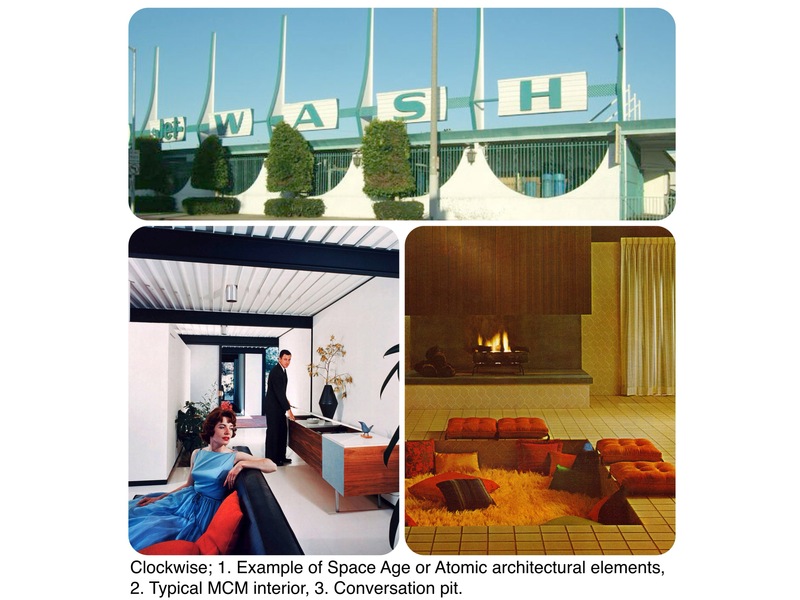 Mid-century modern architecture became popularized in the mid-40’s, and continued through the 1960’s. It is important to note that this style took decades to be accepted as mainstream, with many notable buildings and homes being built-in the period between 1905 through the 1920’s. The design style flourished in Europe with architects such as Mies van de Rohe and Breuer, who were early advocates for using new methods of construction, materials, and design in their work. With the labeling of modernist art and architecture in Germany as degenerate, followed by World War II, important figures of the Bauhaus fled to the United States. Marcel Breuer and Walter Gropius went to the Harvard Graduate School of Design, Ludwig Mies van der Rohe to Chicago. In the United States, a prominent early residential example was the Lovell House in Los Angeles, designed by Austrian expatriate Richard Neutra in the 1920s. American architect Frank Lloyd Wright designed his most famous project, Fallingwater in 1935. He is credited with being a pioneer and inspiration to his peers, who designed modern dwellings as early as 1905. Other examples include the Case Study Houses, commissioned between 1945 and 1966, the twenty or so homes that were built primarily in and around Los Angeles, designed by architects such as Neutra and Americans Charles and Ray Eames. Many of these designs used a similar tactic: blurring the line between indoor and outdoor spaces. This was achieved by embracing “the box” while at the same time dissolving it into the background with minimal structure and large glass walls, as was particularly the case with the Farnsworth House by Mies van der Rohe and the Glass House by Philip Johnson. After World War II, many buildings took on motifs inspired by orbital patterns and flying saucers. The futuristic aesthetic of this style coined the term the Atomic Age and Space Age. The Seattle Space Needle is a representation of this style. As advances in building materials and engineering opened up incredible new possibilities for architectural design, the U.S. started to embrace aesthetic freedom, and modern architecture became mainstream. 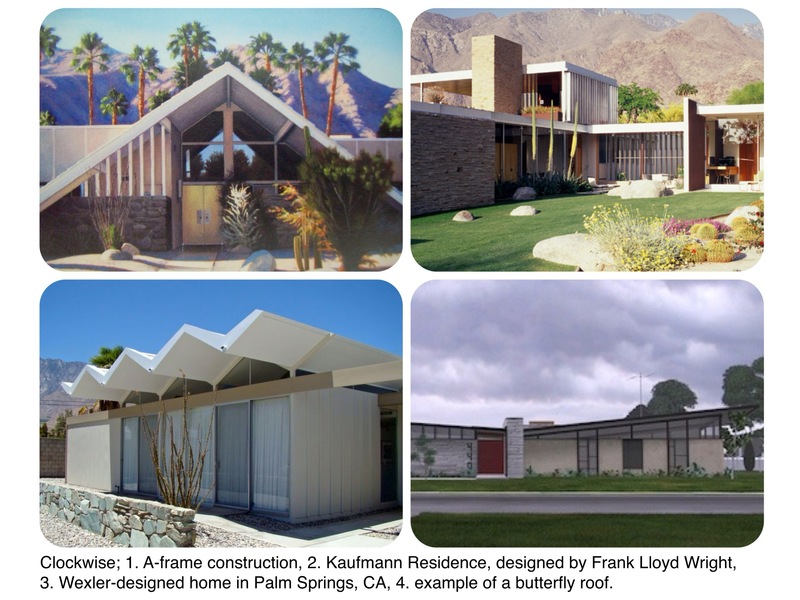 Many styles of modern emerged during this time from ranch style homes, A-frame lodges, what is known as “Palm Springs Modern”, case study homes, and many different interpretations of these styles. Great little informative piece, with some stunning pictures as examples, love this style!